Rhian Brewster‘s impressive return from long-term injury will only heighten expectations on his first-team debut, but the prodigious striker requires patience. 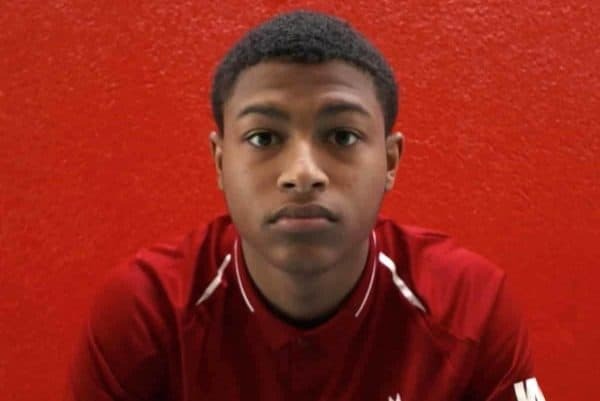 Brewster has been sidelined since January of last year due to serious ankle and knee injuries, but has now joined the senior squad for full training at Melwood. Firmly in Jurgen Klopp‘s plans for the future, the 19-year-old underwent his long rehabilitation alongside Alex Oxlade-Chamberlain at the first-team training base, in a show of the manager’s faith. 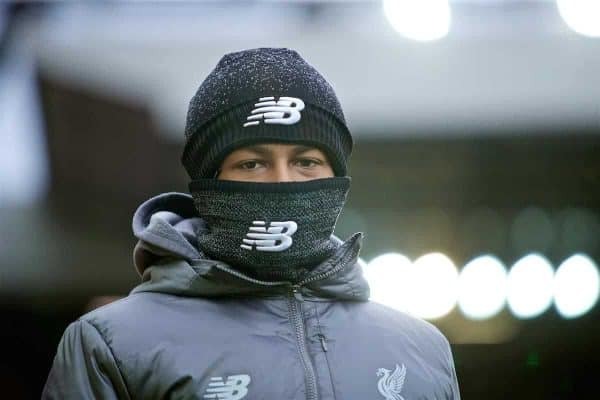 Like Oxlade-Chamberlain, it is unlikely Brewster will feature for Klopp’s side before the end of the season, as every game counts for Liverpool in their pursuit of silverware. Instead, he has been working his way back to match fitness with the U23s, and has made a mark in his academy outings so far. He doubled his tally by following up Glen McAuley’s effort that came back off the bar, before being withdrawn at half-time as Liverpool ease him back. After another behind-closed-doors outing against Bury, Brewster played his first competitive game against the Leicester U23s at the King Power on Sunday afternoon. Again, after six minutes Brewster broke the deadlock, this time with a predatory strike similar to his second at Kirkby, reacting quickest after Oxlade-Chamberlain’s long-range shot was spilled. Though the Foxes’ stadium was packed with a relatively large crowd, Brewster’s celebration could be heard ringing down Filbert Way, and he was just as vocal after every Reds goal in a 6-0 win. It’s been a long time coming for the youngster, who endured a number of setbacks in his recovery, along with a prolonged spell of uncertainty over his future as he mulled over a move to the Bundesliga. But Klopp’s belief, and Liverpool’s persistence in negotiating a five-year professional deal, has clearly convinced Brewster he can settle on Merseyside. “I like to work hard for my stuff so the injury and trying to get back fit, working hard, is all I’ve been doing,” he said in February. 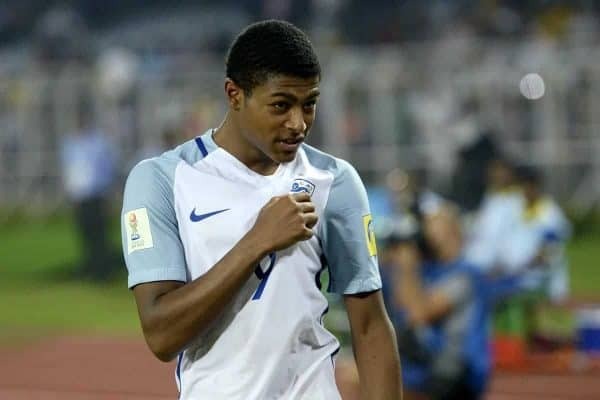 This should be music to Liverpool supporters’ ears: Brewster is already a sublime finisher, whose movement, creativity and work rate have progressed significantly in his time with the U23s. He is able to score with his left foot as well as his favoured right, from set-pieces and open play, and despite his relatively slight frame has also demonstrated his ability in the air. A World Cup winner with the England U17s, he also earned the Golden Boot with eight goals in India in 2017, and in the first half of last season scored seven and assisted seven in 18 games for Liverpool’s U23s and U19s. Regularly name-checking Roberto Firmino as his role model as a striker, it is clear that Brewster is willing to pair this attacking prowess with a selflessness off the ball—and this was evident against Leicester. Thankfully, his pace has not taken a hit following his injuries, and playing 74 minutes as the young Reds moved up to third in Premier League 2, his fitness is improving. This will, undoubtedly, increase the hype over his eventual first-team debut, but expectations should be tempered at this stage. Brewster is a prodigiously talented youngster, who Klopp clearly feels is able to make an impact on the senior stage sooner rather than later, particularly if his claims on the upcoming summer transfer window are to be believed. With no high-profile signings expected, but Daniel Sturridge due to depart, it could be that he joins the resurgent Divock Origi as primary backups to Firmino, as well as Sadio Mane and Mohamed Salah. However, while Brewster has designs on stepping into Firmino’s shoes, this is easier said than done, as the Brazilian is a genuinely unique player. To ask a 19-year-old, without a single minute of first-team experience, to replicate this all-encompassing centre-forward play would be overly ambitious. 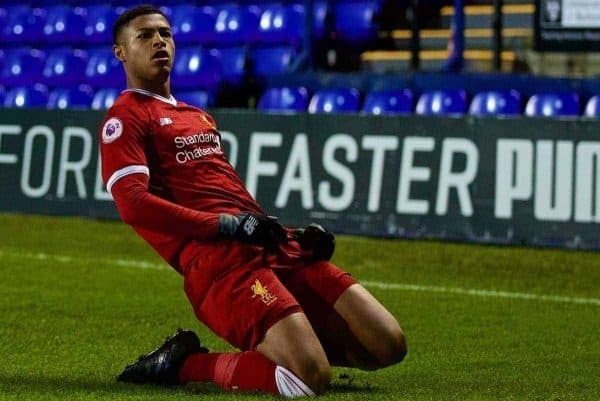 Instead it is more likely that Brewster gains minutes slowly, namely in the FA Cup and League Cup, though the hope is that Klopp’s insistence that “the door is wide open” will lead to opportunities in the Premier League and Champions League too. Fortunately, Brewster is an unflappable character, and a teenager of considerable maturity as seen with his response to racist abuse on the pitch—offering himself up for an impressive interview with the Guardian in 2017. It would be easy to compare Brewster to Raheem Sterling in this sense, but both have made great strides in illuminating the growing trend of racism in modern football, and that is a testament to their intelligence and upbringing. Whether this resolve translates to the football pitch, in the high-stakes games Liverpool are fighting to make a weekly occurrence, remains to be seen though. Therefore it would be wise to approach Brewster’s transition into the first team, after 15 months out injured, with patience. Klopp learned a valuable lesson after his vocal praise for Oxlade-Chamberlain soon after his comeback at Melwood, and this seems to have deterred the club from shining the spotlight too brightly on him, Brewster and Joe Gomez now. If fans take the same stance, and dampen immediate hopes for Brewster, it could pay off as he settles as a senior pro.